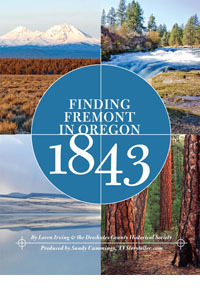 Join photographer Loren Irving on a photographic journey through Oregon in search of the 31 campsites of the expedition led by John C. Fremont in 1843. This 30 minute documentary brings the expedition to life through Loren's vivid photography and the words of the expeditions' journals. DVD is available for $22.00, $20.00 for members. Cost includes shipping & handling. For a preview of this great program, click here.